Locksmith Dirk Bär’s company Bär Metallbau is based in the state of Baden-Württemberg in Germany. Founded in 2004, it handles a wide range of tasks associated with creative metalworking, from railings, staircases, balconies, canopies as well as gates or water courses for gardens and works with balconies, railings, staircases for indoor and outdoor use, gates and canopies. The company also performs repairs and welding tasks. Mr Bär also handles custom refurbishing or extending existing constructions. Working with the customer, he seeks ways to upgrade existing products for customers in an aesthetically pleasing manner. Half the company’s clientele is made up of customers from the private sector. Raw steel in the form of twelve and six metre-long bar stock are purchased, and steel material stocked in the warehouse include steel pipes, pipe profiles, flat steel, rolled profiles or solid material, alongside aluminium and solid material or angular profiles in stainless steel. 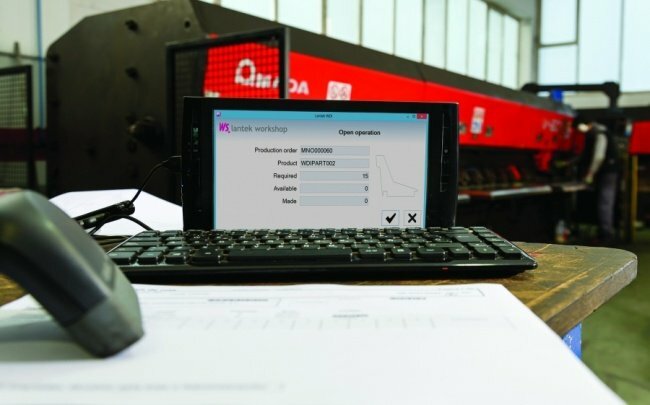 Aiming to increase flexibility and to become independent from suppliers, Mr Bär decided to invest in his own sawing plant in 2014 with three sawing machines from Behringer and Behringer Eisele. Most jobs involve single cuts, making the ability to perform its own sizing operations even more important. “It is also handy to have remnants and offcuts in different materials here in the workshop, as we can use these to show to customers as examples when advising them,” said Mr Bär. He added that for most prospective customers, seeing the profile first-hand enables them to envisage more vividly what their finished car port or canopy will look like. On the infeed side of the mitre bandsaw is a movable roller conveyor trolley, which is used as flexible extension of the short depositing table directly in front of the sawing area. The semi-automatic mitre bandsaw is used predominantly to produce six to 12 metre-long rolled profile girders, pipe and square profiles with a larger cross-section and for H profiles. On the infeed side is a movable roller conveyor trolley. 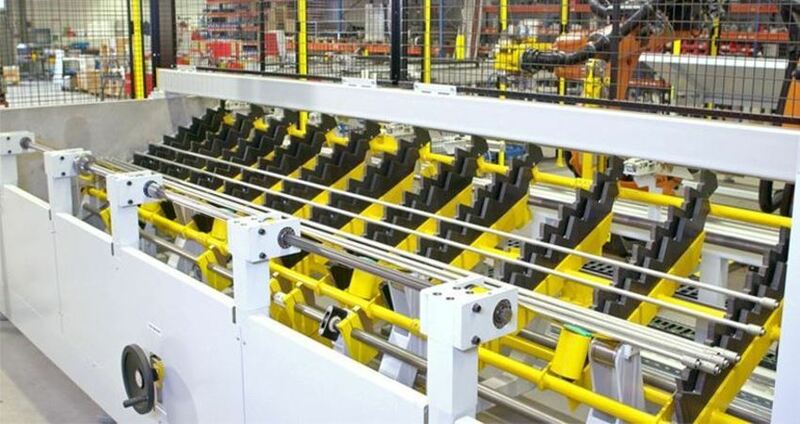 “We make flexible use of this as an extension to the short support table directly in front of the machine’s sawing area,” he explained. Depending on whether six or 12 metres of bar stock have to be sawn, the variable table provides a resting surface. The material is pushed from the infeed side through the sawing area against a measurement stop on the discharge side. 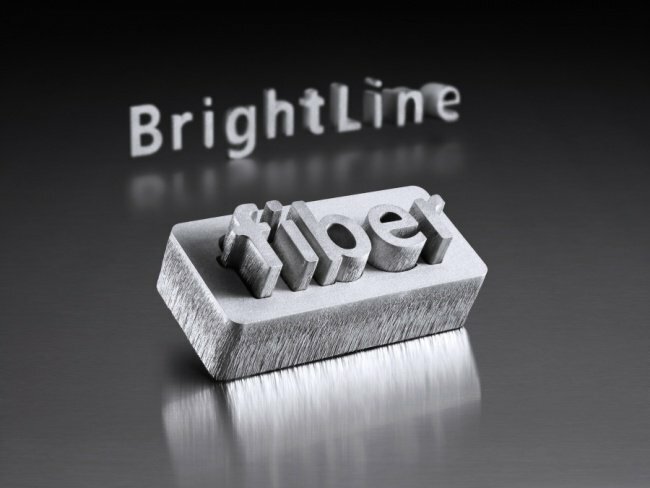 The linear laser marks the dividing line and the bar can be cut precisely to length. The cutting pressure control enables the dynamic sawing of profiles; as soon as the saw meets the web during the cutting process, the feed rate is automatically reduced. “This saves time, as I do not need to slow the whole sawing process down right from the start in order to save wear on the bandsaw blade”, said Mr Bär. He also added that the burr-free cut was important, especially for preparation of welding. The company’s own welding shop enables pre-assembly of products such as front door canopies to be performed in-house. “As these are small and manageable, if they are assembled in advance it speeds up the process on the customer’s premises,” said Mr Bär. Depending on the order, the surfaces of stainless steel cut sections are also ground. Company employee Iwan Focht notes the different possibilities for presetting using the control system. To save time, he frequently saws several bars simultaneously as a package. A side clamp secures the bars to ensure they are not able to slip during the machining process. 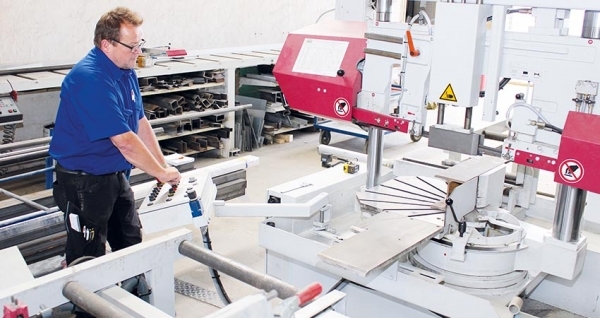 Another practical feature is the fact that he does not have to rely on either special tools or the help of a colleague to change a circular saw blade or bandsaw blade at the mitre machine when required. In an adjacent room, deliberately kept separate from the “black material”, all stainless steel sawing cuts are performed on a workshop circular saw. “Due to the risk of contamination of the stainless steel and the possibility of corrosion, the metals should not be allowed to make any contact”, explained Mr Bär. Pipes, profiles and other cross-sections are transported to the roller conveyor with the aid of a pusher in the sawing area of the machine, where they are cut to length. A manually hinging protective guard shields the saw blade during the cutting process. The circular saw used for stainless steel also permits repeated tasks to be programmed in to save time and prevent errors. Depending on the order, the surfaces of the stainless steel cut sections are additionally ground.